Adopt copper alloy, stainless steel, and toughened glass materials, high-temperature resistant, wear-resistant and anti-erosion. Double mantle lighting for burning brighter. Toughened glass lamp shade is light and durable, breakage-proof. Piezo lighter more convenient to start fire. 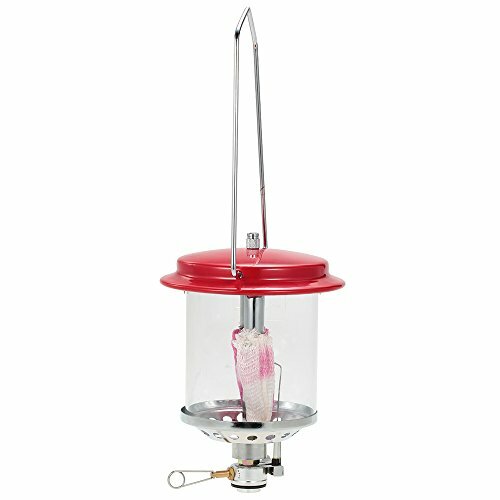 Well-ventilated lantern body accelerates the burning. The brightness can reach up to 140lux. ONLY used with the Butane cartridges as defined in EN417. Never use the application if the O-ring sealing has been damaged or worn out. Use outdoors ONLY. Use in a well ventilated environment.